A team of students from Byrne Creek competed in the FIRST Robotics Competition in Victoria. The “For Inspiration and Recognition of Science and Technology Robotics” Competition is known worldwide for combining the excitement of sport with the rigours of science and technology. 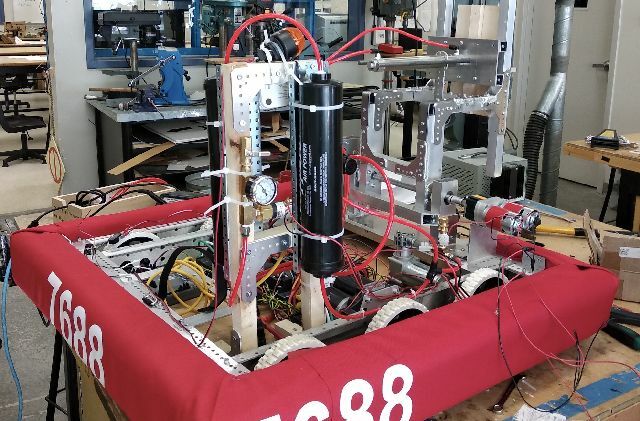 The Creekside Voyagers had six weeks to design, build and program their robot (Terry the Robot) for the FIRST Robotics (For Inspiration and Recognition of Science and Technology Robotics) competition in Victoria..